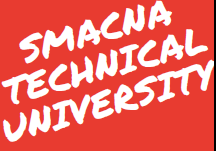 This is a one-day version of SMACNA’s Technical University (Tech U) focusing specifically on the HVAC related standards. The program is split into 5 sessions. The first 3 are specific to the HVAC Duct Construction Standard and include an in-depth review of standard. Topics include how to use the manual for rectangular duct construction with various options on transverse connections, internal vs external reinforcement, large duct (dimensions over 120 inches) we even include some special tips and tricks. Also covered is construction of round duct, oval duct as well as duct supports. There is plenty of opportunity to ask questions and present scenarios to SMACNA’s Technical Department. Additional topics include leakage testing and fire dampers. For leakage testing we cover why our method is the correct method, how to specify leakage testing, what to do when the specifications are vague or not based on technical merit (i.e. 1% leakage). For fire dampers we go over basic definitions related to dampers, code requirements, and often misunderstood installation requirements. March 5th 8 a.m. - 3 p.m.